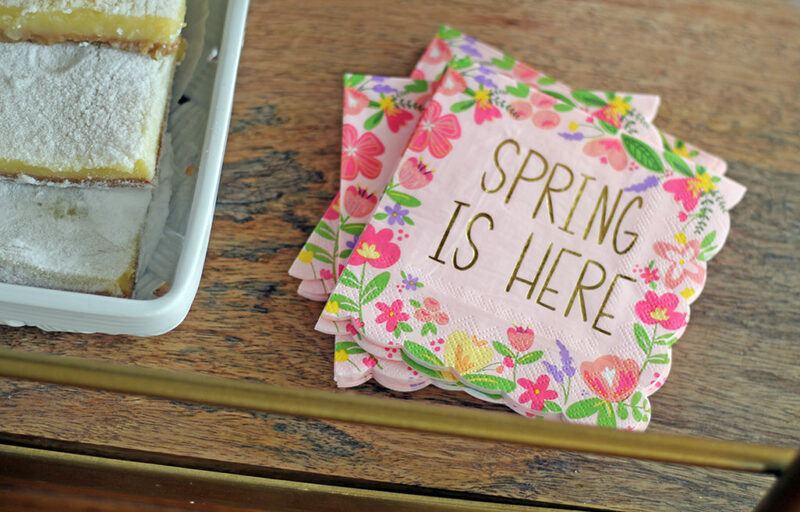 We’ve been saying it and hoping for it for several weeks…SPRING IS HERE! 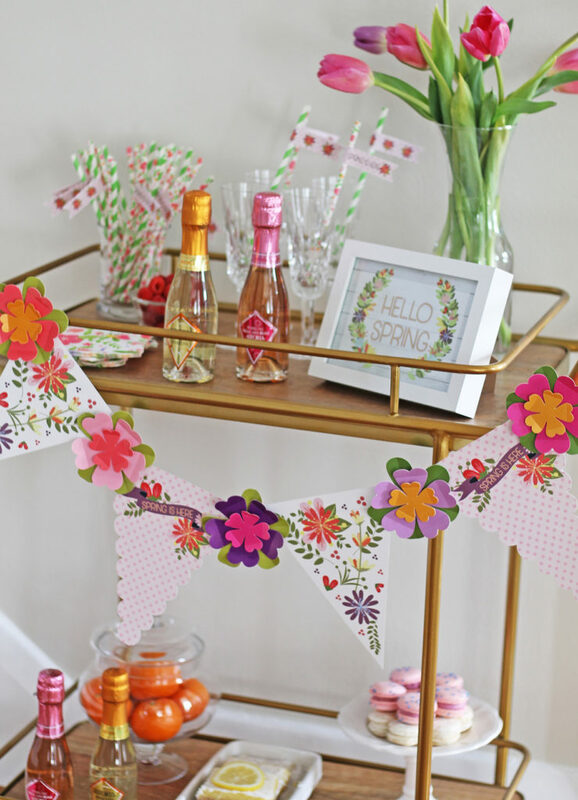 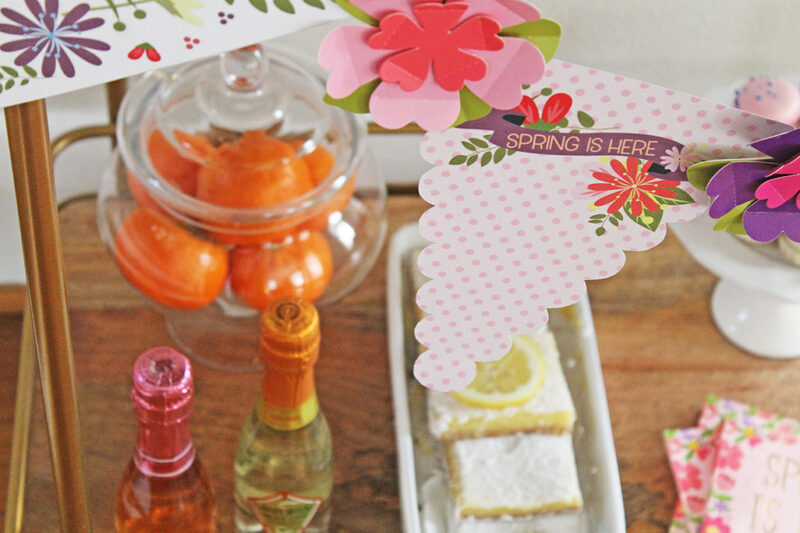 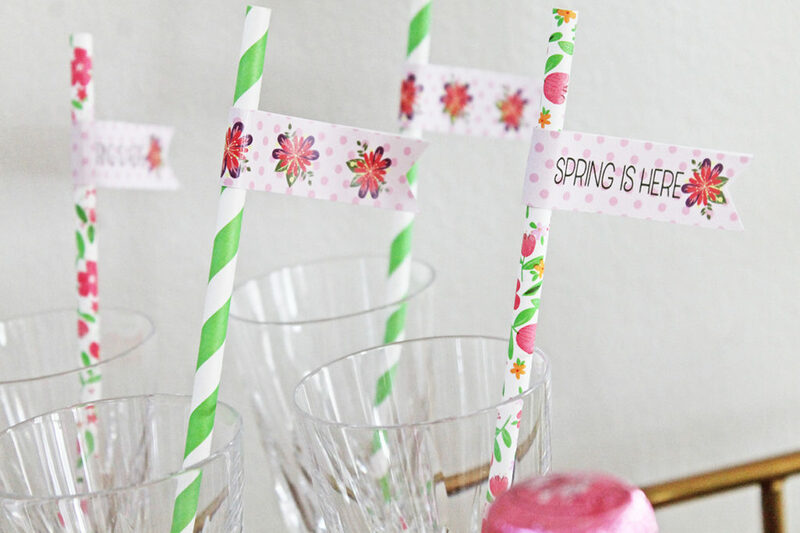 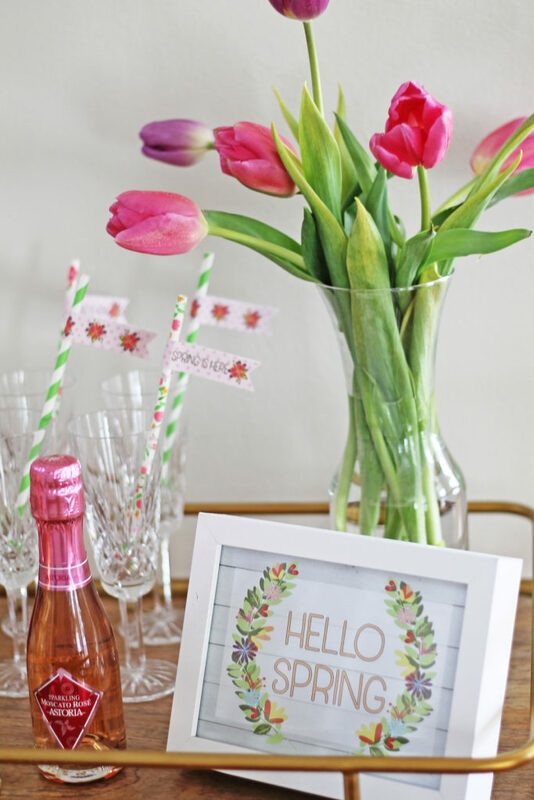 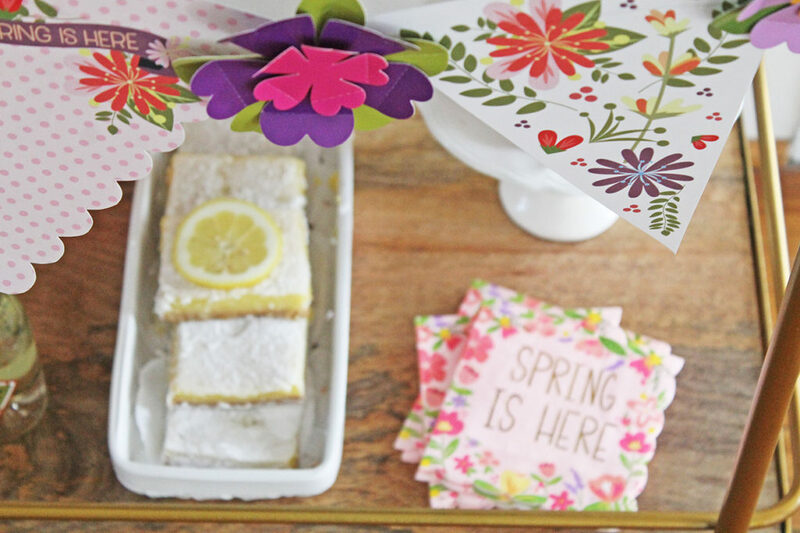 This “SPRING IS HERE” bar cart was inspired by a few items I picked up at the Target Dollar Spot area…a floral wreath kit, the SPRING IS HERE gold embossed napkins, the coordinating floral napkins, and the paper straws. 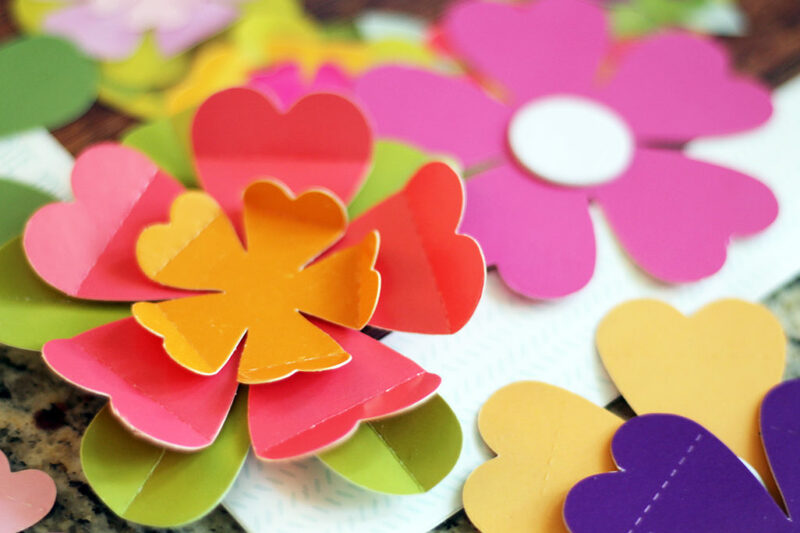 I started by assembling the paper wreath kit. 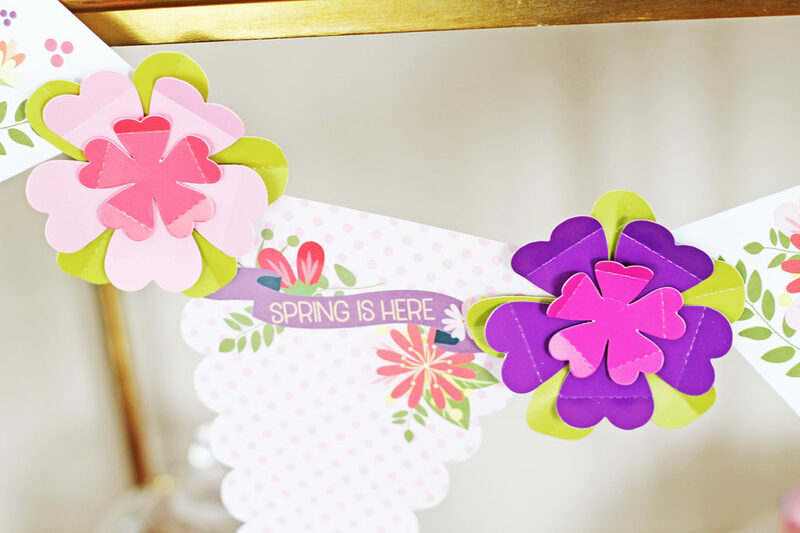 It was so simple to do…just layering and putting together the self-adhesive parts of each flower. 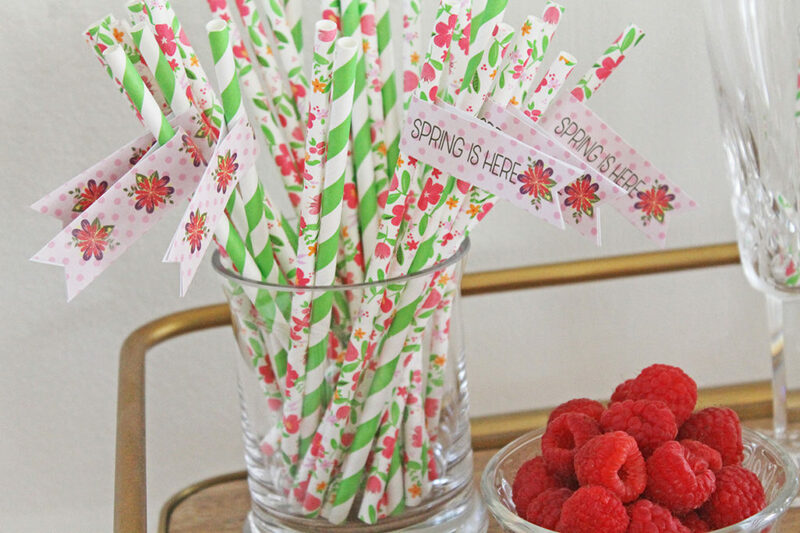 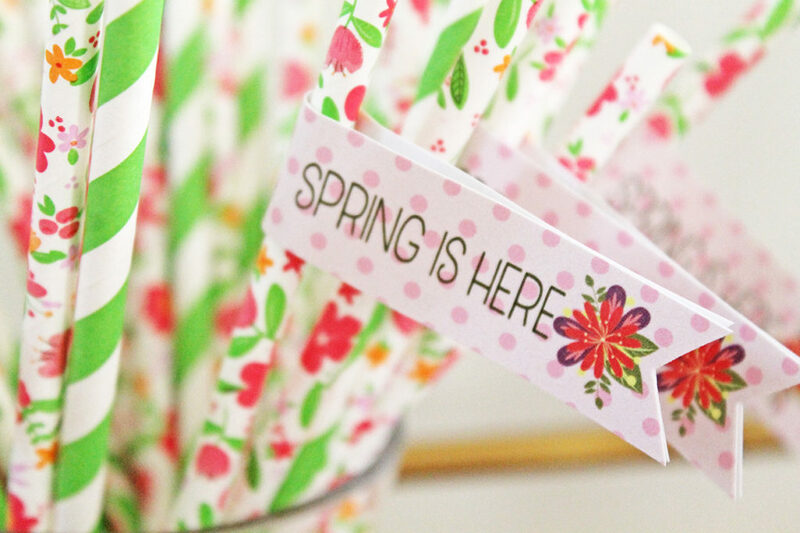 The colors are so bright and cheerful…they practically scream SPRING! 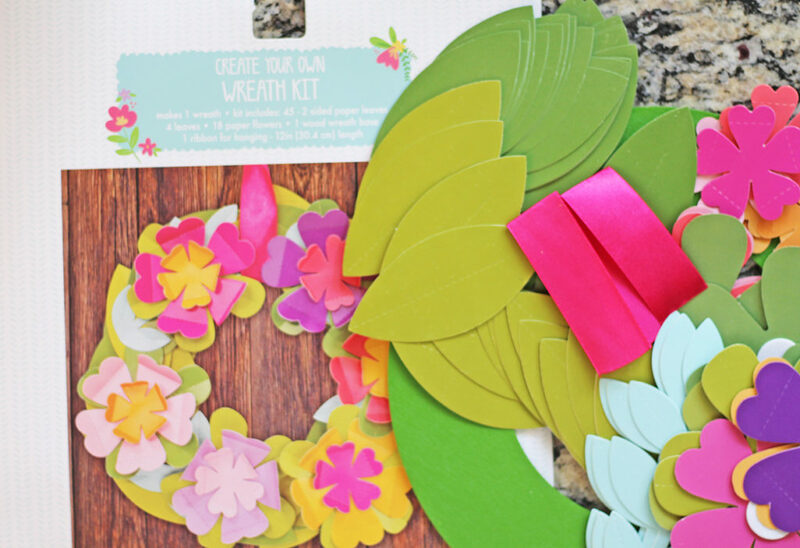 I didn’t actually make the wreath. 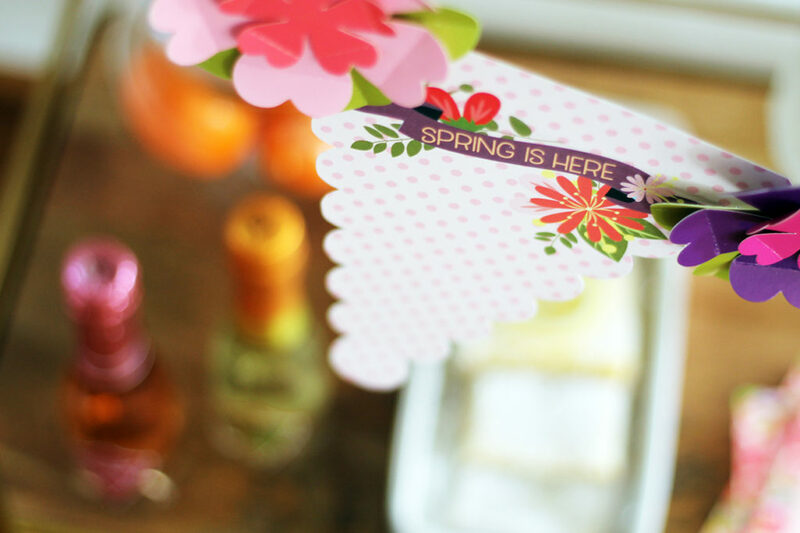 I used only the flowers to go with the banner that Christina created. 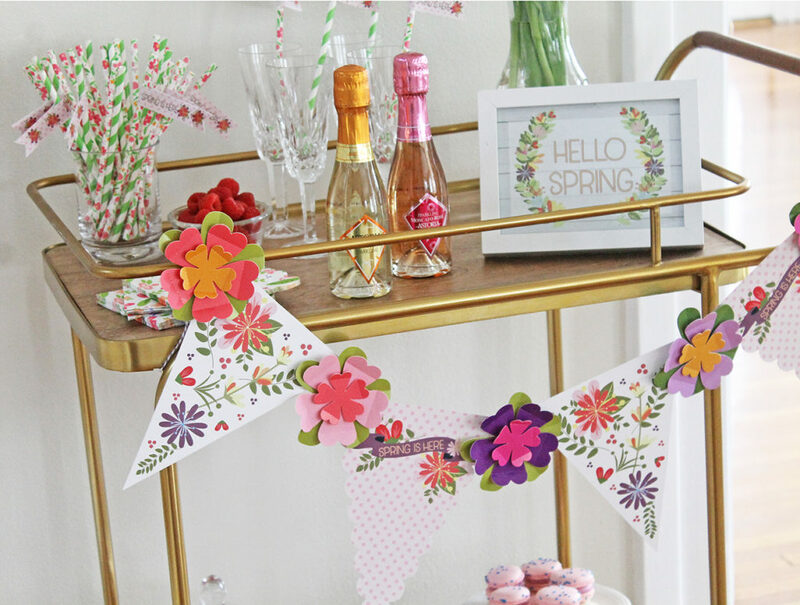 And that banner…wow, I just love how she matched the colors of the flowers! 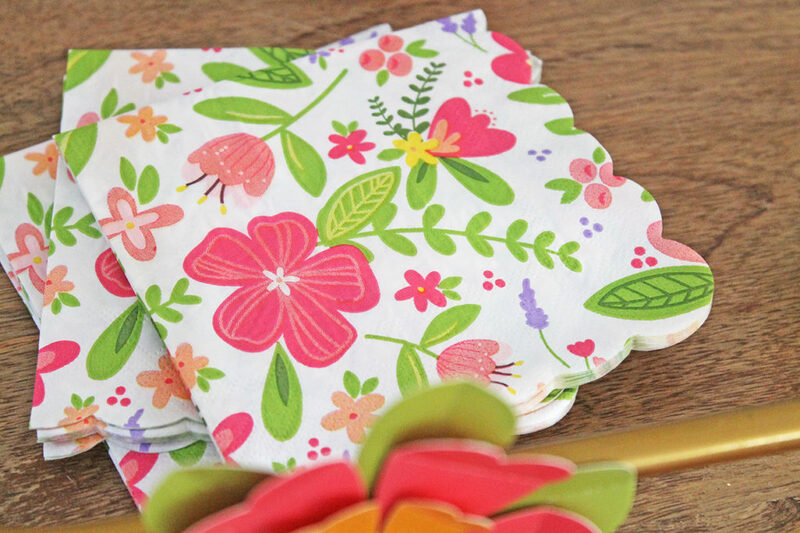 And I adore the scallop design that mimics the edges of the napkins! 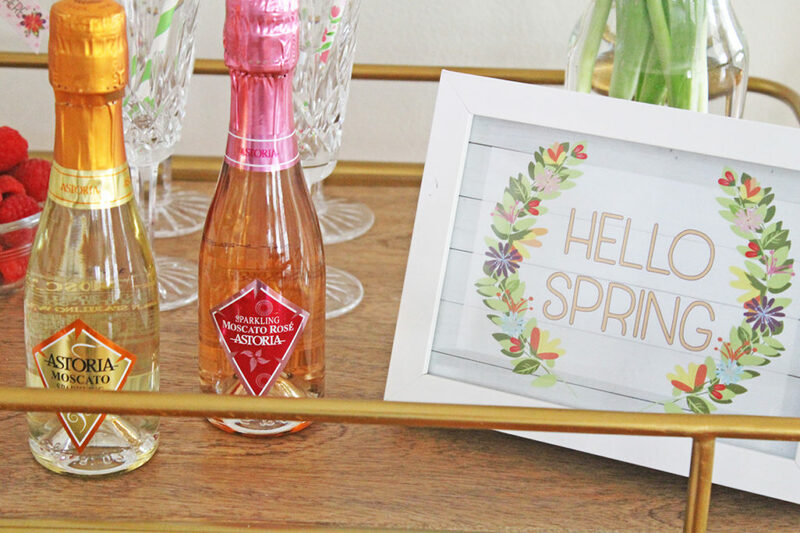 Speaking of prosecco and rosé, a bar cart is not complete without some bubbly! 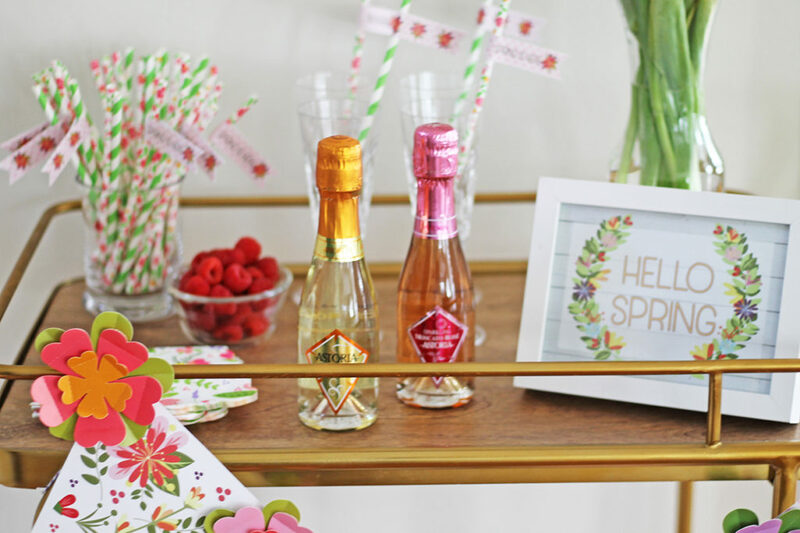 These bottles are adorable, and single serving sizes are great for a small gathering. 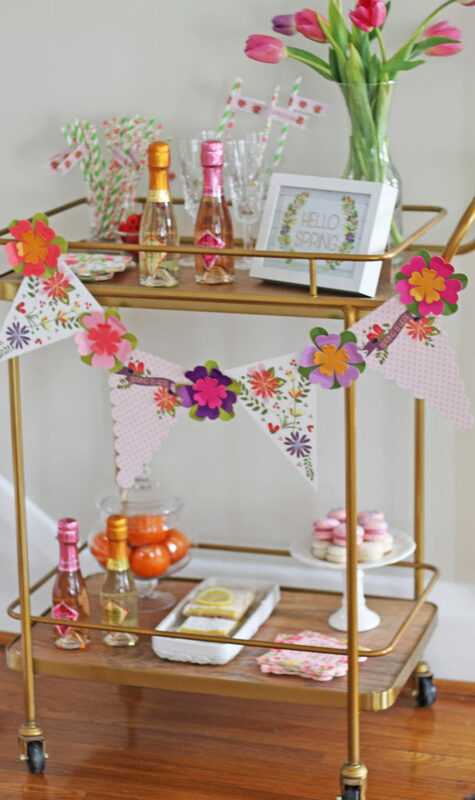 Along with the beverages, there are some fun nibbles on the cart. 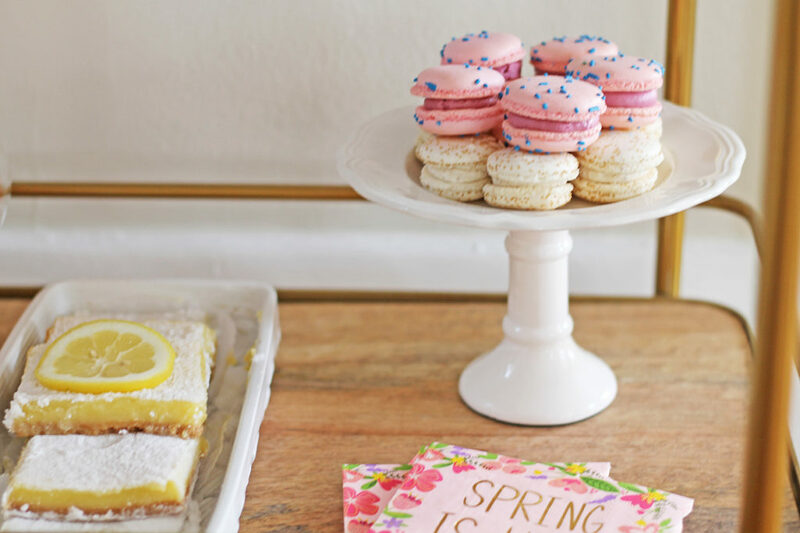 Macarons, lemon bars, raspberries, and mandarin oranges are perfect for spring snacking…light and refreshing.